I worked my first separate property tracing case in 1988 and have been participating in them ever since. 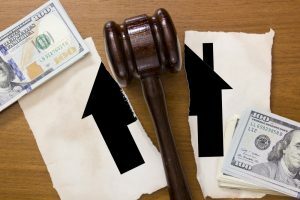 Separate property claims can be and often are hotly contested and emotional matters in a Texas divorce no matter if the divorce is done in regular litigation or a collaborative process. The general presumption is that all property owned at divorce is community property and therefore is to be divided between the spouses. An exception is made for claims for separate property. Separate property is not divisible and is awarded to the spouse who is able to present clear and convincing evidence in support of the separate property claim. The heart of a collaborative divorce case is informal discovery and voluntary agreement(s) between the spouses. The “all in” or “all out” thinking associated with separate property claims does not portend well in a collaborative setting. However, separate property claims should not automatically eliminate a divorce from being handled in a collaborative fashion. But there should be realistic expectations about the additional time and cost to handle these matters. The collaborative team and client spouses will have a number of decisions to make before the work can begin. How complicated are the separate claims and what level of work will be necessary? Should the team neutral financial professional consider working through the claims or should an expert be added to the collaborative team? How much time will handling the separate claims require and what effect will this have on the collaborative case? Are professional fees for this work to be paid by the community, the separate estate or shared? As can be imagined, just working through these questions will likely add noticeable time and expense to the collaborative process. Client spouses must be prepared and anticipate this. If not, they likely will lose faith in the process. How complicated are the separate claims? Obviously, the more complicated the separate property claims are, the more time will be required to plan and perform the work. Claims against real property are often less complicated unless there has been a series of purchases and sales and or debt serviced by community funds. IRA accounts can be less complicated than a brokerage account or a 401k account because often there are fewer deposits into the account. Longer time frames, a series or ongoing purchases and sales will require more work, more cost, and can justify adding a tracing expert to the collaborative team. Should an expert be added to the collaborative team? If you want to use the team neutral financial professional to assist in considering these questions, the impact that can have on the on neutrality (or perceived neutrality by the clients and their attorneys) must be considered. As mentioned, separate property claims are often thought of as “black or white,” “winner-loser” issues. Sometimes both parties will lose confidence in the neutral after the characterization work is done. Also, the team should address whether or not the tracing, especially if done by an expert, will survive the collaborative process in the event of a termination. How much time will handling the separate claims require? Many collaborative professionals have experiences where long delays in a case have had a seriously negative impact. The characterization and tracing work is part of information gathering, so it is generally considered unwise to move into problem solving until all the information is in place. I personally have had instances where it took several months to gather the information and do the detailed tracings, whereupon the cases ended in termination. On the other hand, I also have instances where the team moved ahead in the process with the characterization work pending only to fall back. It takes thoughtful planning and excellent client communications and control to tread this path successfully. Which estate bears the burden of the fees for the characterization work? In my experience, if the team neutral does the work, the question rarely is asked. However, if an expert is added, the question almost always is asked. I can think of no pat answer or standard, and my experience is that each case works through this issue on its own terms. Separate property claims and characterization is a very divisive area in divorce and an especially fragile and delicate issue when handled in a collaborative process where clients are asked to work together. Yes, it can be done successfully but the collaborative team needs to go in with “eyes-wide-open” and work closely with the clients to set realistic expectations. 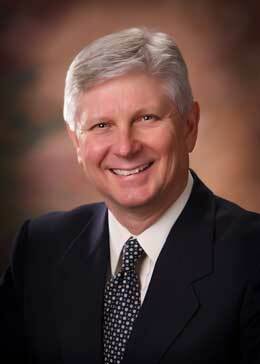 Steve Walker is a CPA with over 30 years of accounting, tax, valuation, and forensic accounting experience. His practice focuses exclusively on family law matters in the areas of collaborative divorce, litigation support, and forensic accounting with an emphasis on characterization and tracing of separate property. Mr. Walker has completed over 200 collaborative divorces since 2006.